The inclusion of ADS-B technology in remotely piloted aircraft promises much for aviation safety and maintaining separation in the unmanned era. The biggest fear facing the rise of drone technology in society is the ‘inevitable’ mid-air collision between a drone and helicopter or passenger jetliner. While this scenario has played out on TV in the BBC drama Casualty, a real-world accident is thankfully yet to occur. But ask most in the traditional manned aviation sector about the likelihood of a mid-air collision with a drone and they’ll tell you it’s only a matter of time. So when the world’s leading drone manufacturer recently announced its latest model will come with a built-in automatic dependant surveillance broadcast (ADS-B) receiver, alerting the operator to nearby aircraft, it caught the attention of many in aviation safety circles. Marketed as creating ‘safer and more efficient use of airspace’, DJI’s M200 Series enables the operator to see ADS-B fitted manned aircraft improving situational awareness and helping reduce the risk of a mid-air collision. 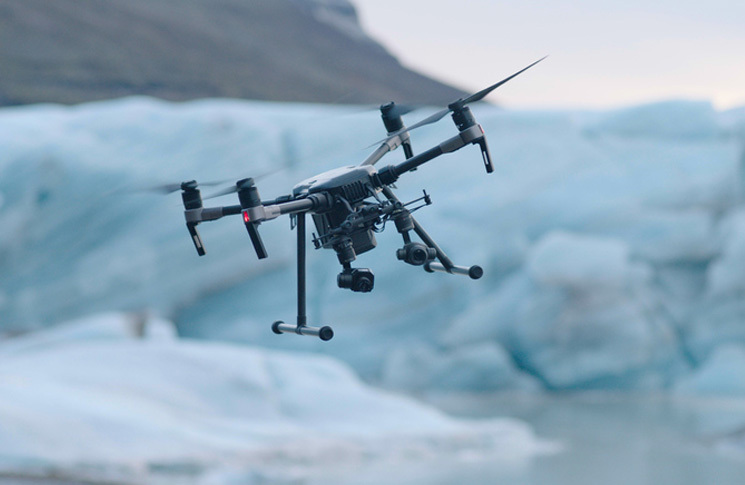 With DJI constantly enhancing its products to stay ahead of the competition, the inclusion of an ADS-B receiver has many wondering whether this is now the new norm in drone safety standards. The addition of a receiver also raises the question as to what extent a full-functioning ADS-B system—enabling the drone to broadcast its position—will have in the future of the unmanned sector. ADS-B is a system in which electronic equipment onboard an aircraft automatically broadcasts its location via a digital data link. 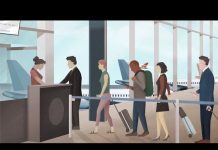 The data allows other nearby aircraft and air traffic control to see what the broadcasting aircraft is doing, transmitting identity, altitude, velocity and other relevant data without the need for radar. Unfortunately for the unmanned sector, current technical standards in the United States for ADS-B transmissions were written solely with manned aircraft in mind. These standards require power output levels to be between 7 and 350 watts, with the upper end of the spectrum providing air traffic control with visibility of aircraft at high altitudes hundreds of miles away. An ADS-B system that powerful is simply too big for most small- and medium-sized remotely piloted aircraft systems. However, the manufacturers of the ADS-B receiver on-board DJI’s M200 are calling on the FAA to update technical standards to allow low-power transmissions—drastically reducing the size of the ADS-B units. ‘A technical solution is among us that increases safety today,’ says Christian Ramsey, Vice-President of Business Development at uAvionix, a company specialising in tiny ADS-B transmitters weighing 5–70 grams and capable of power outputs between 0.01 and 0.1 watts. 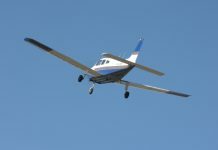 ‘The problem is that the technical standards that were written for ADS-B many years ago didn’t have drones in mind, and therefore the power ranges specified in those standards range from 7 watts to 350 watts,’ he says. ‘While it is legal to broadcast ADS-B from drones today from 7–350 watts … it’s illegal to broadcast at a power setting that still provides the safety margins needed, but at a comparatively minuscule power setting that preserves the integrity of the whole system,’ he says. So would simply fitting unmanned aircraft with ADS-B solve the separation conundrum? According to Ramsey there is genuine fear within the FAA that if all drones were fitted with ADS-B systems, whether now or in the future, the high volume of transmissions would crash the system. It’s for this reason that Ramsey is calling for only high-risk drone operations to have ADS-B equipped aircraft. 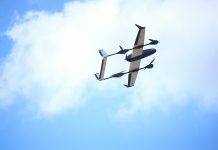 With the world drone market estimated to reach US$127 billion by 2020 and companies such as Amazon constantly looking for ways to make low-altitude drone delivery a reality, airspace below 500 ft is going to become increasingly congested. Throw in a rescue helicopter on a life-saving mission or a crop duster conducting low-altitude spraying and you’ve got a growing safety demand for a low-powered ADS-B system enabling pilots, both manned and unmanned, to see each other. But it’s no silver bullet. When it comes to past and current close calls between manned and unmanned systems, a vast majority occur in areas where even licenced operators aren’t generally allowed to fly; in controlled airspace, at high altitudes, and in approach and departure paths of airports. These headline-grabbing near misses are mostly rogue, unlicensed operators ignoring the law and flying where they shouldn’t. Even if there was a mandatory ADS-B requirement for all drones, both commercial and recreational, human nature would suggest those wanting to fly illegally would find a way to disable the technology, much like they do with current built-in geo-fencing restrictions present on DJI products. Education and enforcement are perhaps the only ways to combat operators willing to risk it all for a few seconds of glory on YouTube or Facebook. While the full extent of the addition of ADS-B into the unmanned sector is yet to be determined, one thing is for sure—drones are becoming safer. As well as the built-in ADS-B receiver, the M200 also comes with seven forward-facing sensors capable of detecting obstacles up to 30 metres ahead; while the upward-facing infrared sensors can sense obstacles within a 5-metre range. A downward-facing vision positioning system enables precision hovering and landing. 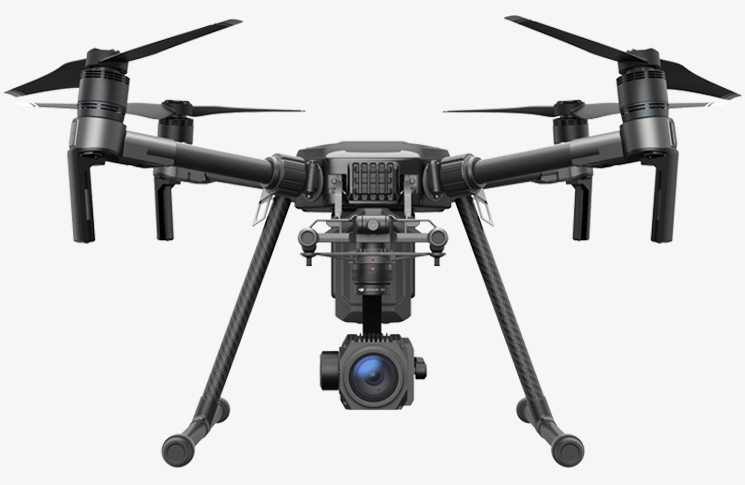 Other notable specifications include a 3.8 kg take-off weight, 38-minute flight time and a seven-kilometre operating range. The M200 is due for release by the end of May. It would be great if you were a little more manufacturer neutral on these matters. Ardupilot Autopilots have had ADS-B in automatic collision avoidance available for quite a long time now.